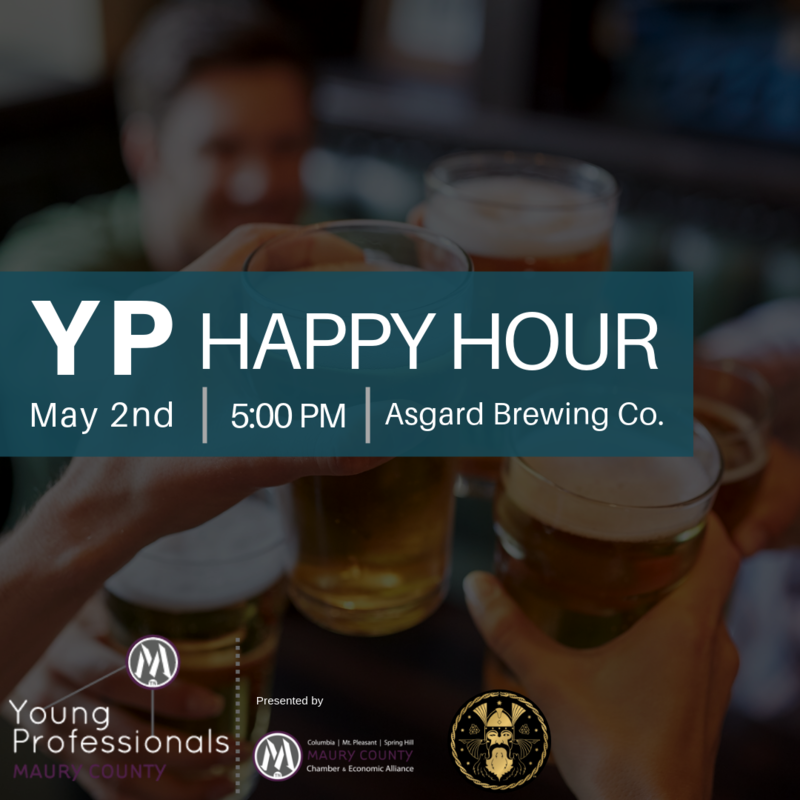 Come enjoy a drink and meet other Young Professionals on the first Thursday of every month. This is a casual event, everyone is welcome! A Young Professional is anyone working or living in Maury County. From Nurses to Teachers and Manufacturers to Engineers, anyone from 21 to 40 is considered a Young Professional! I am not a member of Maury Alliance, can I still come? Yes! We want all Young Professionals in Maury County to get involved. That's okay, many people will not know anyone. Look for the registration table and we will introduce you to others and get you plugged in. The Maury Alliance?s Young Professional group creates a platform for YP?s to build relationships, develop professionally, and contribute to the economic development and high-quality living of Maury County. We are dedicated to providing a springboard for ideas, network of resources and a unified voice from our young professional community through innovative programs, projects, and social events. Our goal is to become the premier organization for the up and comers of our community.